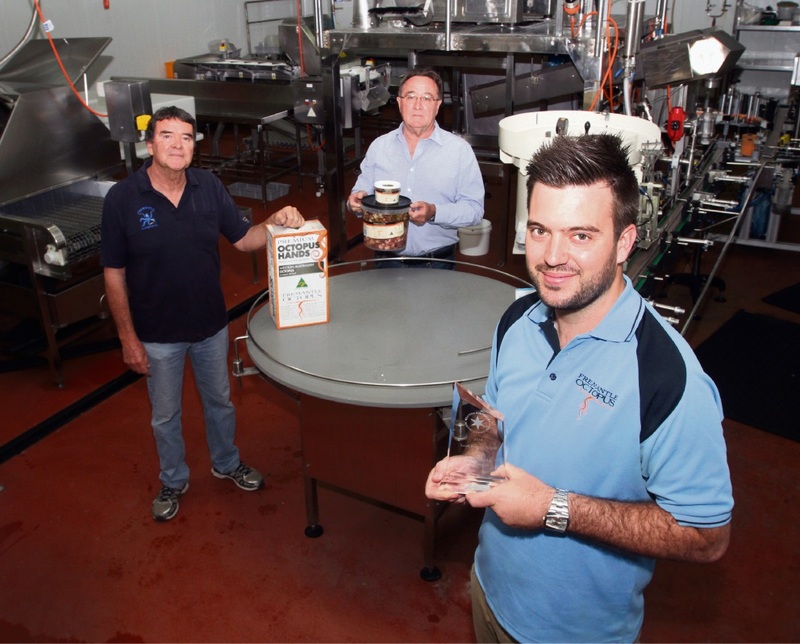 A LOCAL seafood business has taken out a WA Industry and Export Award. Fremantle Octopus, a Hamilton Hill-based company which catches and ships stock seafood across the world, recently claimed the Small Business Export category at a gala event at Crown Perth. Operations manager Asher Flynn said the business, which was up against Norwood Systems and Proteomics International Laboratories for the award, was unsure where it stood leading up to the night. “It was pretty tricky because we’re usually grouped with similar companies but this was more varied,” he said. “It was difficult to read how we would go. Mr Flynn said the 16-year-old business, which exports across Australia and into overseas markets including the USA, Singapore and Hong Kong, has significant room to grow. “There’s huge demand,” he said. “Demand outstrips what we export by about double. Also among the winners was Henderson-based Austal, which claimed the Marketing and Design Excellence Award and the Manufacturing Award. Commerce Minister Michael Mischin said the awards highlighted the great work of local businesses. Winners become automatic finalists for the National Export Awards on November 24.